New York, NY - The company behind the first offshore wind farm in North America won approval Wednesday from New York state to build the country’s biggest seaward turbines yet. The Long Island Power Authority, a state-run utility company, gave Deepwater Wind the green light to begin construction on the South Fork Wind Farm, a 90-megawatt, 15-turbine development 30 miles southeast of Montauk. The move comes as the nascent U.S.
offshore wind industry finally begins to gain steam. In November, Deepwater Wind completed construction on the Block Island Wind Farm, the five-turbine, 30-megawatt project that became the country’s first commercial wind farm located in the water. Last month, Statoil, Norway’s state-owned oil and gas giant, won a $42.5 million bid to lease 79,350 acres of federal waters located 14 miles off Long Island’s southwest coast. It’s unclear how many turbines would go up, but the company plans to build a wind farm producing at least 600 megawatts. Winds off the coast of the U.S. are so reliably strong, turbines built offshore could generate 4,223 gigawatts of power ― four times the amount of electricity that’s currently produced from all sources in the country, according to a 2012 study by the National Renewable Energy Laboratory. Yet, even as the offshore wind industry boomed in Europe, tapping that resource has proved difficult. Wind turbines remain expensive. Electricity produced mostly by natural gas and coal continues to be cheap, relative to prices in other countries. Developers must navigate a Byzantine web of state and federal regulations before gaining approval to build turbines offshore. Despite his pledge to eliminate up to 75 percent of federal regulations, newly sworn-in President Donald Trump could complicate things for the industry. He filled his Cabinet with climate science deniers and fossil fuel executives explicitly bent on boosting the oil, gas and coal sectors by slashing environmental rules that favor zero-emissions energy sources. He has a history of battling the wind industry, describing land-based turbines as a death trap for eagles and restarting a yearslong feud over an offshore project underway that obstructs the view at his golf course in Scotland. 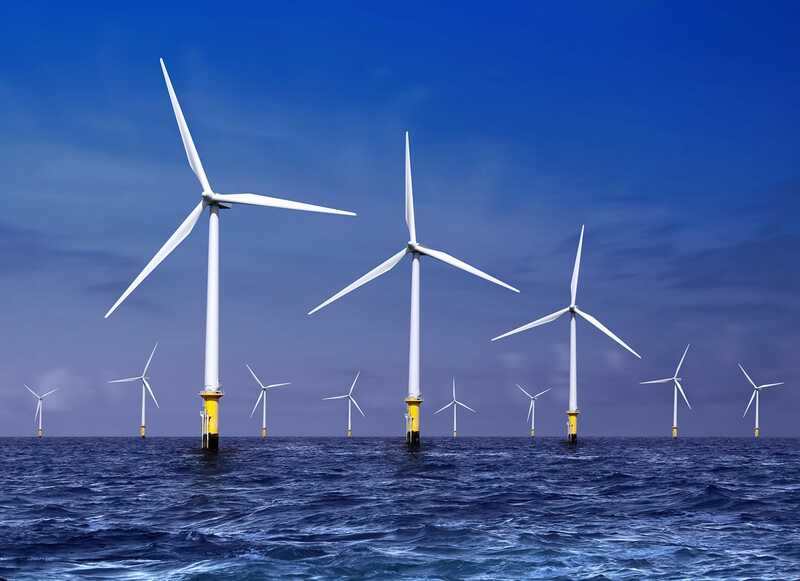 Under Cuomo’s plan for New York to get half of its electricity from renewable sources by 2030, offshore wind provides 2,400 megawatts ― enough to power 1.25 million homes, according to state estimates. “It’s massive, how much energy is out there,” Catherine Bowes, senior manager for climate and energy at the National Wildlife Federation, told The Huffington Post on Wednesday. She added that her nonprofit planned to work with Deepwater Wind to ensure that migrating whales, fish and other sea creatures would not be hurt by the construction of the windmills. “It is a game-changing scale of the amount of clean energy out there right where we need it, right along the big coastal zone from Boston down to Washington, D.C.,” she said.